Logical Storage Solutions is an innovative provider of storage equipment and interior workspaces for both industrial and commercial environments including office partitions and mezzanine flooring.As no two problems are the same, we offer a consultative approach to understand your operational priorities. With our head office in the Midlands, we are able to offer a nationwide service for all single or multi site operations. We are your one stop provider of solutions to all storage, workspace and maintenance problems! The Corporate Manslaughter and Corporate Homicide Act 2007 ensures companies and organisations can be found guilty of corporate manslaughter as a result of serious management failures resulting in a gross breach of a duty of care. If you are a company director or responsible for the health and safety of your organisation, give yourself a good night sleep and let us take the headache of inspecting your storage system away. Browse our online store for some of the most competitive prices in the UK. All products are designed and manufactured to withstand some of the most challenging logistical environments. Whether you need material handling equipment, access platforms, workstations or office furniture, our vast range of products will compliment almost any work area. With 1000's of lines to choose from, we are sure you'll find what you need to support your business in just one place! Does your racking need a health check? Get an independent safety inspection! 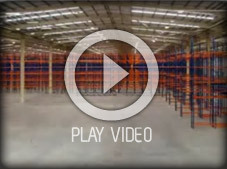 Discover our range of pallet racking! Learn about the available options! Damaged racking? We can make it healthy again! Solutions and products for industrial and commercial environments. Take a look! Looking to create a stylish office environment? Then look no further! Need to restore your warehouse to its original state? Talk to us! If you can't find it here, then you don't need it! Health and safety is our number one priority. All projects are executed with site specific method statements, risk assessments and completed in accordance with Construction (Design and Management) Regulations 2007 (CDM), so take comfort in the knowledge you're in good hands!